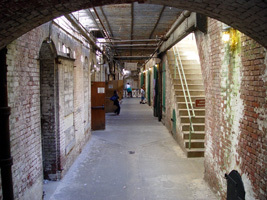 Interior view of the Fort area located just beyond the dock. 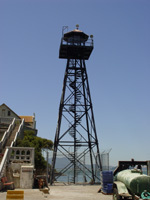 Guard Tower located at the dock. 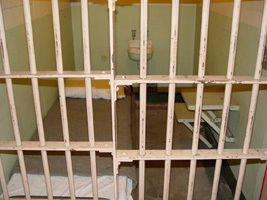 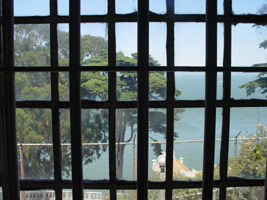 View of a typical cell on Alcatraz, very small quarters! 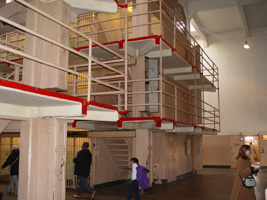 The Cell House is three tiers high! 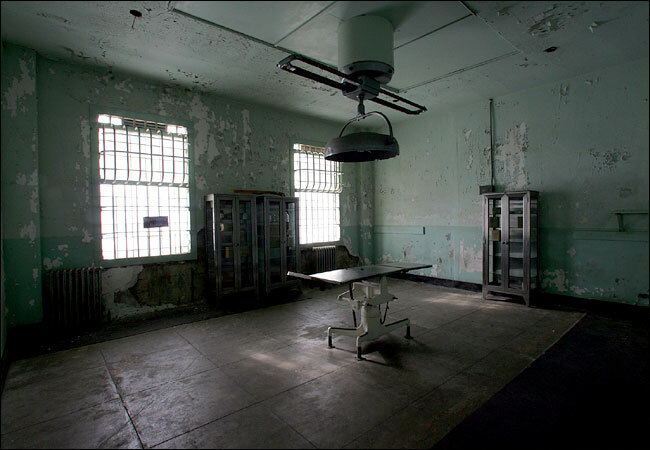 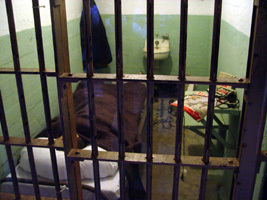 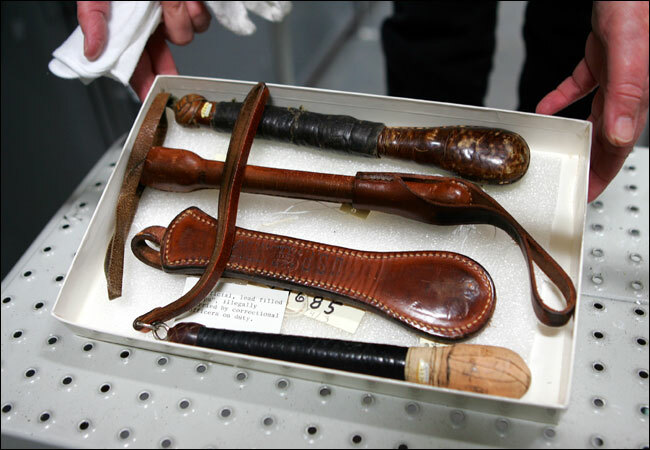 Jail cell of one the Anglin brothers, who escaped from Alcatraz, and was never found alive. 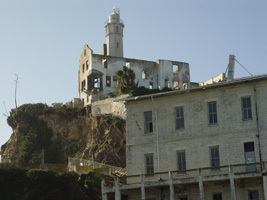 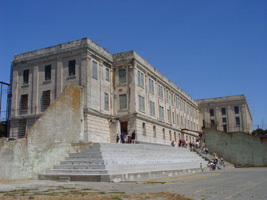 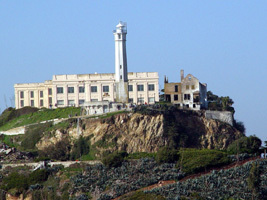 Front of the Main Federal Prison on Alcatraz. 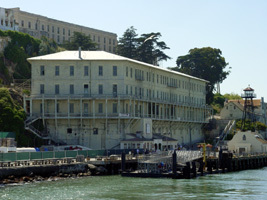 View of the Dock area and the apartments that housed the guards and their families. 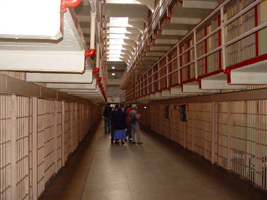 View of Broadway, one of the main areas of the cell house. 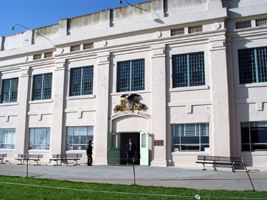 View of the Exercise Yard, just off the main cell house. 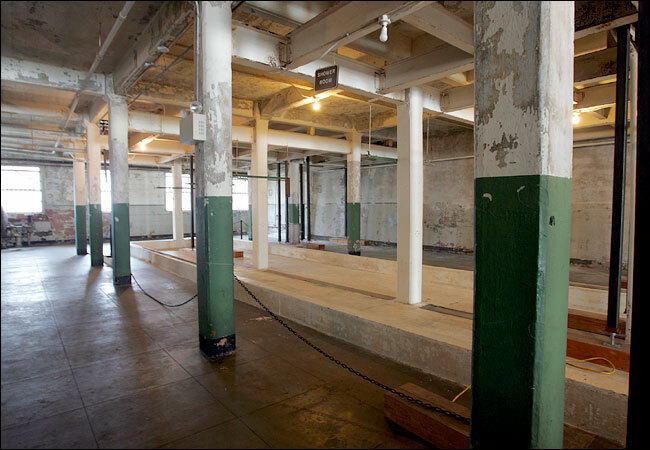 Another view of the dock, your arrival point on the Island.